Stationer, Mayor of Winnipeg (1893-1894), MLA (1900-1903), MLA (1903-1907), MLA (1908-1910), MLA (1911-1914). Born in Portsmouth, England on 6 September 1852, son of James Taylor and Abigal Peel, he was educated in London, Ontario. He came to Winnipeg in 1877 and set up a bookbinding business two years later. He served as a Winnipeg alderman in 1892, was elected Mayor in 1893, and was re-elected without opposition in 1894. He was chair of the Winnipeg Public Parks Board in 1904-1905. 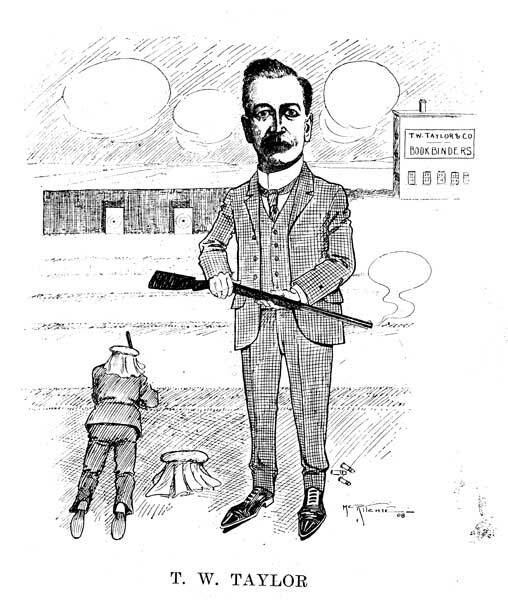 Taylor first ran for the Manitoba Legislature in the 1896 provincial election, but lost. 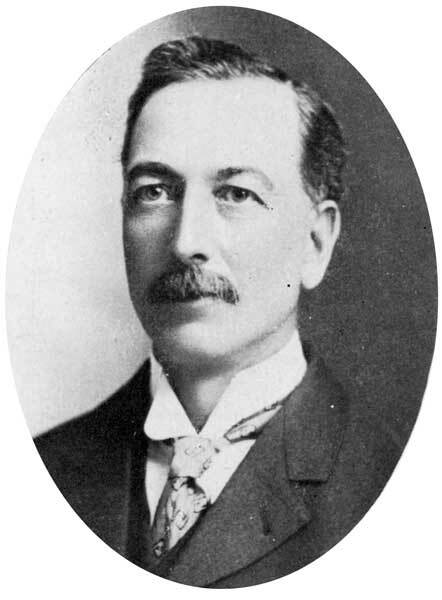 He was first elected in a by-election held on 1 November 1900. He served as a backbench supporter of Rodmond Palen Roblin’s government. He was re-elected in the 1903 and 1907 general elections. In the 1910 election, he was again elected, under controversial circumstances. He defeated Fred Dixon, a Labour candidate supported by the Liberal Party, by a margin of seventy-three votes. The Socialist Party also ran a candidate, who received ninety-nine votes. Some believe the Conservatives encouraged the Socialist campaign to ensure their own victory. He did not seek re-election in 1914. On 17 May 1877, he married Gertrude Seaton (1859-1934) of London, Ontario with whom he had twelve children: Abigail Taylor (1880-1961, wife of William Chandler Birt), Gertrude Taylor (1881-? ), Minnie Isabella Taylor (1882-? ), Claratina “Clara” Taylor (1885-1956, wife of Victor W. Horwood), Edna Taylor (1886-?, wife of A. T. Warrington), Arthur Robert Taylor (1888-? ), Thomas William Taylor (1888-? ), Chester Roy Taylor (1891-? ), Harold Taylor (1893-? ), Marguerite Taylor (1895-?, wife of ? Paterson), James Sinclair Taylor (1897-? ), and Hugh John Taylor (1899-?). He was the President of the Manitoba Rifle Association, St. Andrew’s Society, and Old Timers’ Association of Manitoba. He was a member of the Masons (Master, St. John’s Lodge), Royal Caledonian Curling Club, Thistle Curling Club, and Church of England. His son-in-law, W. C. Birt, took over the bookbinding business after Taylor’s death on 24 February 1924. The T. W. Taylor printing plant and book bindery remained open in Winnipeg until 1968. He is commemorated by Taylor Avenue in Winnipeg.